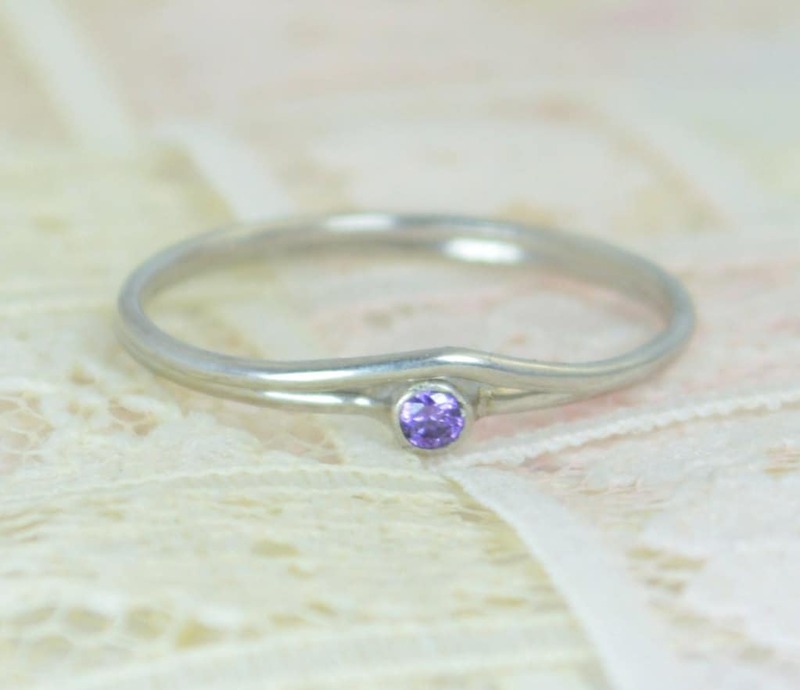 Solid 14k White Gold Natural Amethyst Engagement Ring with add on Bands and FREE inside ring engraving. Each stone is a 2mm AA Grade Natural amethyst. 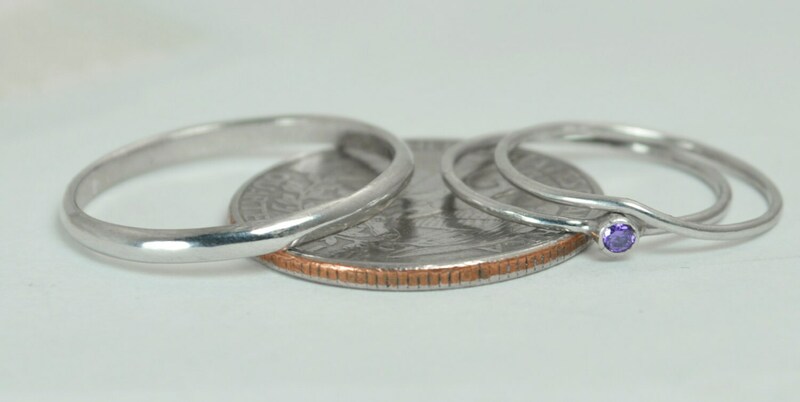 These Rings Are Minimal & Simple - Dainty 14k White Gold Bands. Rustic, Understated Luxury. 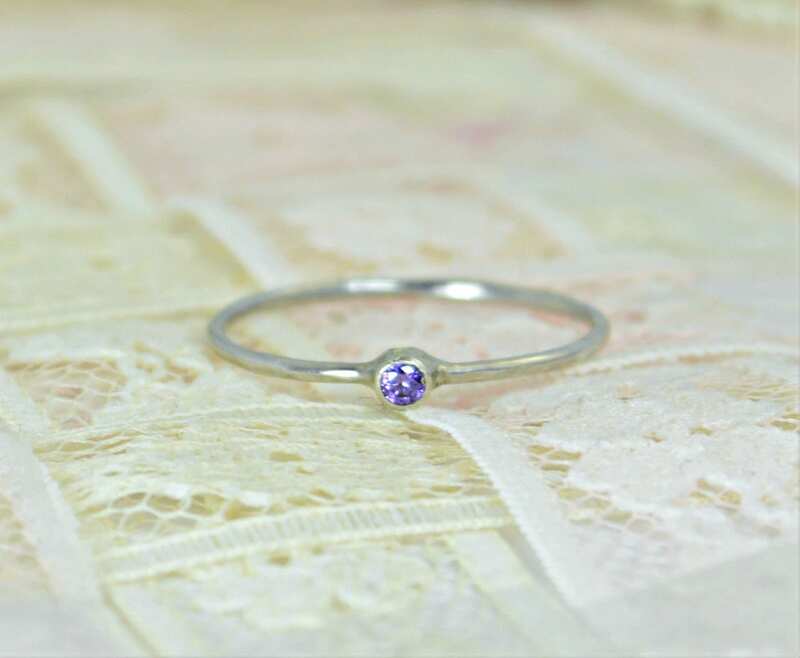 - 14k White gold ring(s). - Natural AA Grade Vivid amethyst. 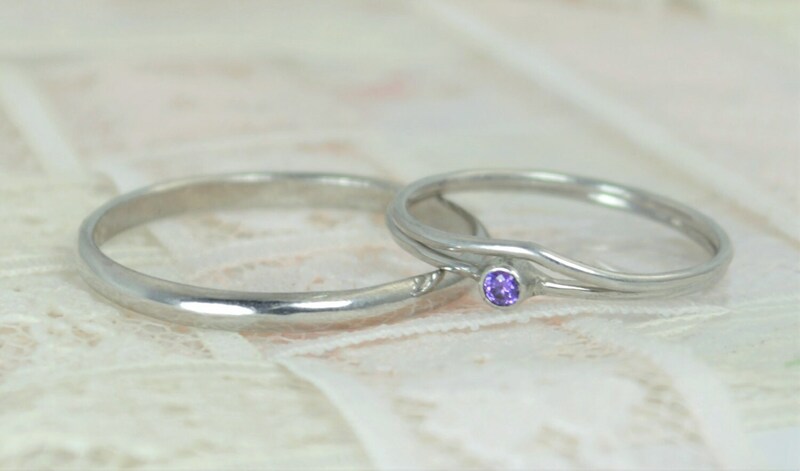 Each ring is made with high quality American 14k white gold and is suitable for daily wear.